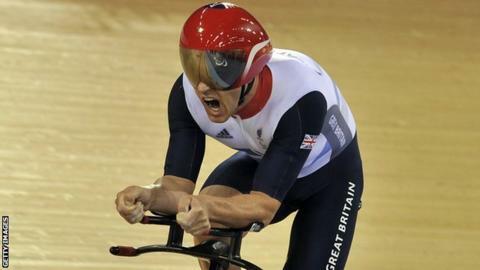 Welsh cyclist Mark Colbourne failed in his bid land a fourth medal at the 2012 Paralympics. Colbourne, 42, had already won a gold and two silver medals in the C1 class and but finished 24th in the road race. Beverley Jones put her seventh-place finish in the shot put behind her by taking bronze in the F37 discus. Jones threw a season's best 30.99 metres to finish behind Chinese pair Na Mi, who took gold in a world record 35.35m and Qiuping Xu (32.08m). The 37-year-old Welshwoman, who has cerebral palsy, is a multi-talented athlete who has a Commonwealth Games 100m sprint medal and plays cricket for Wales. Another busy day at the athletics stadium saw two other Welsh athletes competing for medals. Former powerlifter Kyron Duke made his Paralympic Games debut in the final of the F40 shot put and came fifth, while Olivia Breen came 8th in T38 200m final. In the sailing, Stephen Thomas and his two crew-mates fell to fifth from the bronze medal position in the final Sonar class standings despite a second place in their 10th and final race. David Anthony was part of the GB Wheelchair rugby side which beat France 57-50 in a Group game.